All our Standard LED Interior Packages now come with 1210-SMD LED chips on the bulbs instead of the basic refractor LED diodes that were far less superior compared to these lights. The basic 3mm LED diode typically produce 2.5 lumen whereas these 1210-LED diodes produce 5 lumen per diode so they are double the brightness. 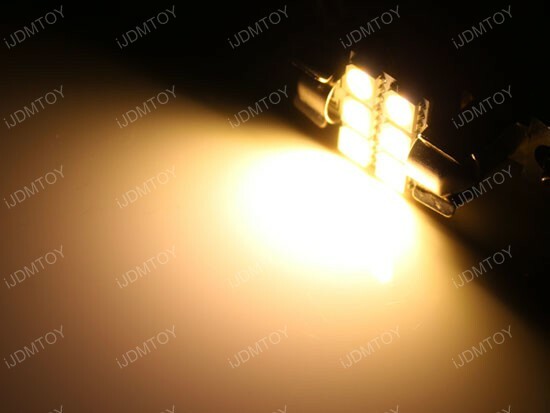 It is an only normal to assume that with brighter lights, they would come at a higher cost, but thanks to innovative manufacturing improvements we able to produce these brighter lights at the same cost as the previous version. 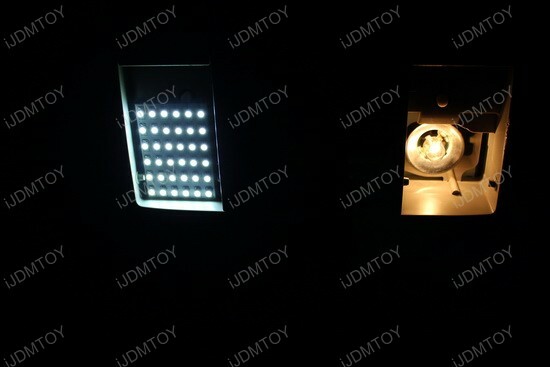 There are several other improvements in light output and color with this version. 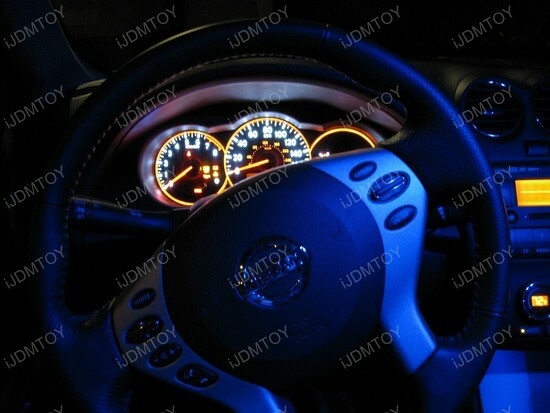 The LED interior package shown in the pictures is on a Nissan Altima and is our Ultra Blue color. Just like the old version, the newer and brighter version retains all our color selections; Xenon White, Ultra Blue, and Brilliant Red. The color is also much richer to the eyes compared to the refractor version. 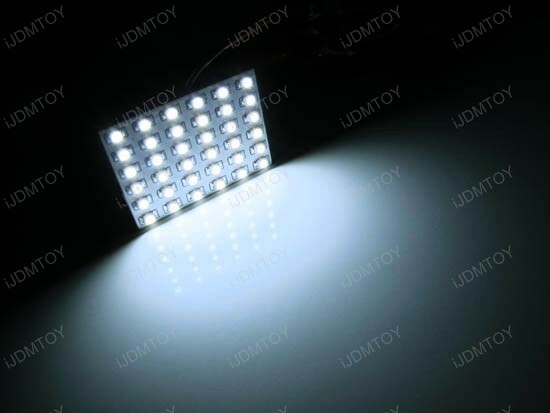 The beam pattern of the light is much more wide spread; SMD LED lights have a flood light beam pattern so there is more available light. The refractor LED lights were more of a spot light style and would not spread the light as well. We’re confident that our customers will appreciate a much brighter and better light at the same low cost as before. 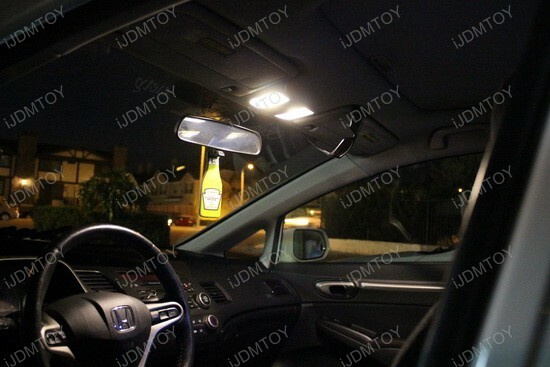 Today’s featured Honda Civic looks awesome with these brand new Warm White LED bulbs and certainly makes impression. 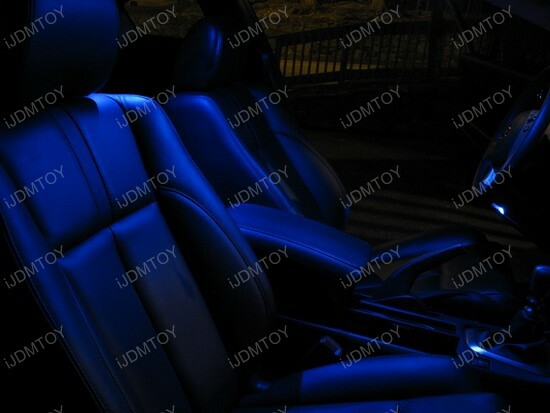 The interior lights shine very nice and the whole car looks very cozy and attractive. This great effect is achieved thanks to a pair of 6-SMD LED 1.25" 31mm Festoon LED bulbs in Warm White color that will replace the stock DE3175, DE3022, DE3021, 3175, 3022 and 3021 bulbs. 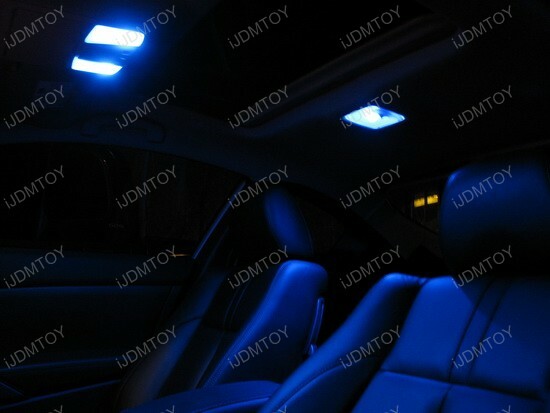 If you want to make your car cooler, you can consider trying these Warm White DE3175 LED bulbs. 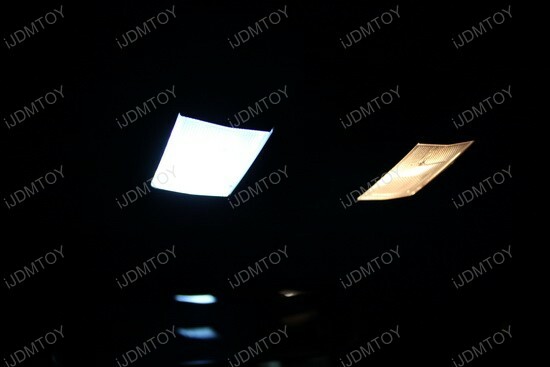 Of course, if Warm White is not your color you can pick from three more colors – Xenon White, Ultra Blue and Brilliant Red, but the fact is that you’ll love the way they shine – up to 3-4 times brighter than OEM bulb. 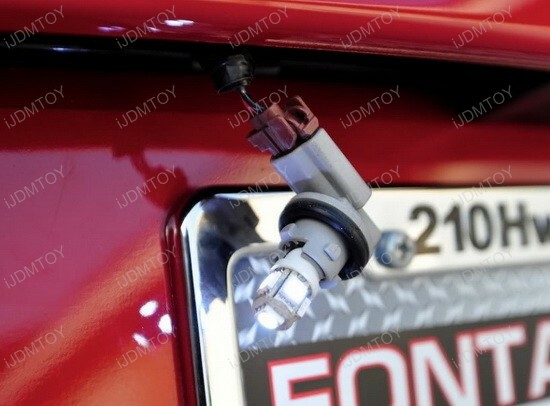 Utilizing the latest in LED technology, iJDMTOY has developed this 6-SMD Festoon LED bulb with plug-and-play system that allows installing for car interior lights, such as map lights, reading lights, and dome lights in just a few minutes with no drilling, cutting, or fabrication required. All you have to do is to remove the stock incandescent light bulb and replace it with this high quality LED bulb for super bright light. In case bulb won’t light up, plug it out, flip it 180 degrees and plug it in again – this should do the trick. 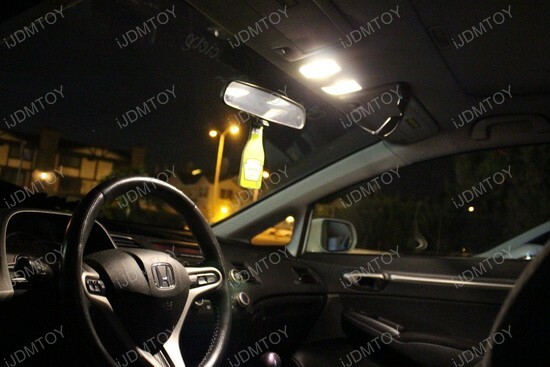 I guess the owner of this Honda Civic is very happy with his brand new Warm White LED interior, because these bulbs are cheaper than others, last longer and look better. 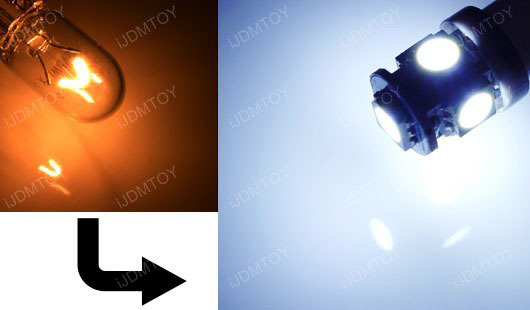 Achieving the very same nice and stylish look has never been easier – you don’t have to spend a fortune – just look for these incredible Warm White DE3175 LED bulbs from iJDMTOY! The 2013 Nissan 370Z is a fantastic performer with great power and handling and when some more style is added with License LED Bulbs, it’s simply outstanding. 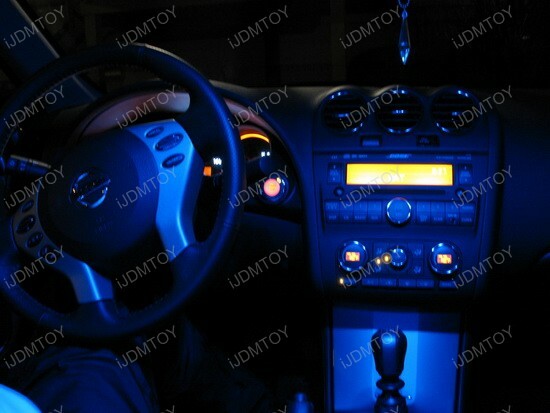 This is exactly what happened with this 2013 Nissan 370Z – the very first thing that the owner did is to install iJDMTOY 5-SMD-5050 168 194 T10 LED bulbs for the license plate lights. What’s more, the updates for 2013 Z include a revised front end that incorporates LED daytime running lights, which makes these 168 LED bulbs a perfect complement to the overall car look. And if you have to spend some money to get the Japanese muscle car, you can get the very same license plate LED look for just a few bucks. 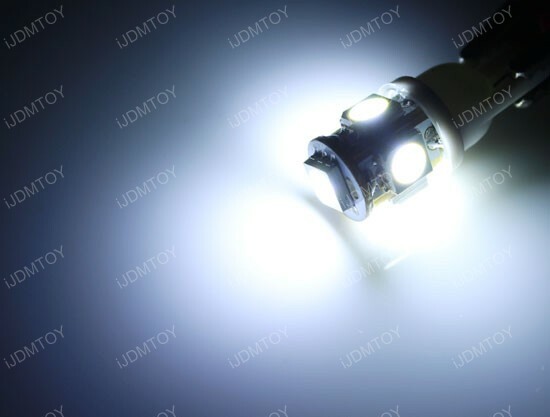 The featured license LED bulbs have 360 degrees shine design and 5 pieces super bright 3-Emitter 5050 Type SMD LED lights which deliver great output. So, if you want to dress up your ride with some cool add-on and make people say "Wow! 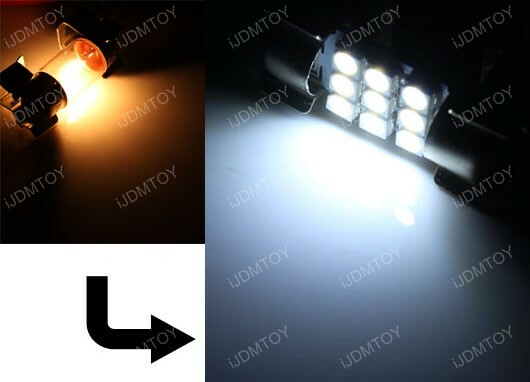 ", then the T10 LED bulb from iJDMTOY is just for you. Plus, you can get your pair of LED bulbs in 7 colors – Xenon White, Warm White, Ultra Blue, Brilliant Red, Emerald Green, Amber Yellow and Magenta Pink to match the style of your ride. Replacing the stock bulbs is very easy task – look underneath where the lights are, press one side of the license plate light housing to unlatch and pop it out. Twist and disconnect the light from the cover, then pull out old bulb and insert your new 168 LED bulb. Do the same with the other one, then test if lights are working. If not, please flip the bulb 180 degrees and try again. Then put back the cover and pop it back in. That’s all. 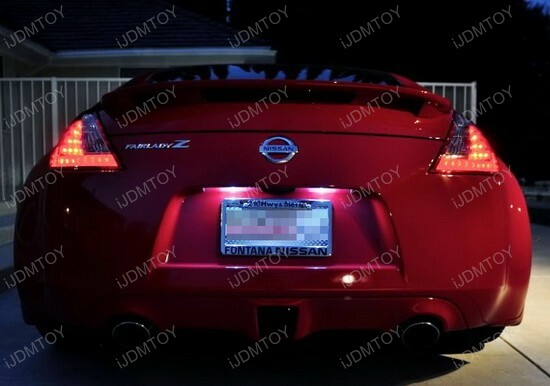 The rear end of the featured 2013 Nissan 370Z looks much better at night, thanks to the new 168 LED bulbs from iJDMTOY. Go with this product and you won’t regret, but if you want to go further, to look and feel a cut above the rest, then an optional I Love JDM License Plate Frame is available for a few more bucks. 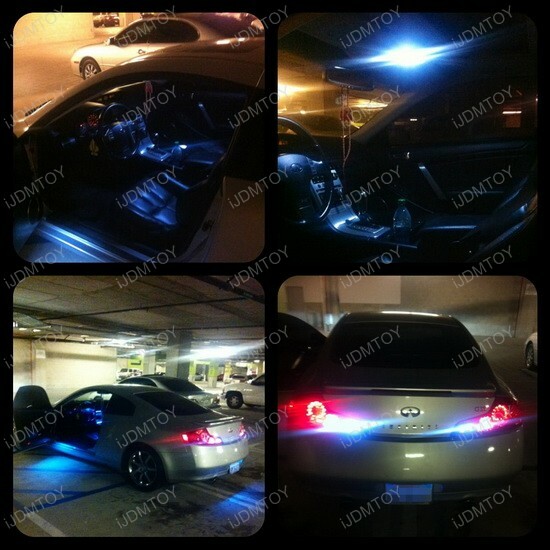 Check out this lovely 2005 Infiniti G35 Coupe with the featured Complete LED Combo Deal from iJDMTOY and start taking notes on the "How to make you car a head-turner" topic. This customer got the full package for his 2005 Infiniti G35 Coupe for interior dome lights, foot area lights, license plate lights and backup lights in this nice sparking blue color. He wanted the brightest interior and exterior lighting LED package and as you can see from the photos – he got it. 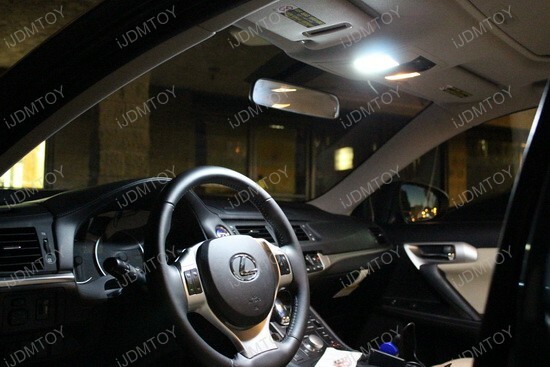 This awesome Infiniti G35 LED Package fits all G35s made in 2003-2007 and it comes pre-configured with all the SMD LED lights you need to dress up your car. Direct replacement, plug and play, 3-4 times brighter and longer lasting than stock car interior lights, this Complete LED Combo Deal is a great product that will knock the socks off of the most passionless person in less than a second! 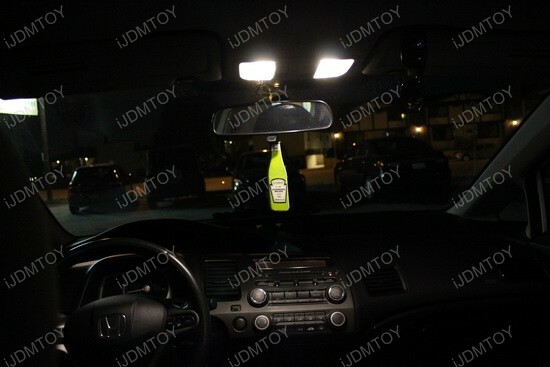 Simply remove the stock light bulb and replace with the new LED one for a bright, crisp light. You’ll achieve incredible visibility and modern custom look! What’s more, you can install all LED bulbs from the package within 15 minutes, because no car guru skills are required for this simple task. Please note that some of these bulbs could be polar sensitive and if bulb won’t light up, plug it out, flip it 180 degrees and plug it in again. That should do the trick. 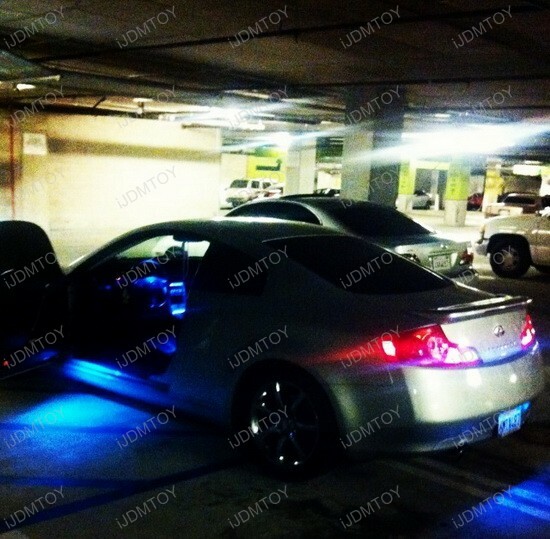 The owner of this 2005 Infiniti G35 Coupe is very happy with his Infiniti G35 LED Package and as it turned out, the LED lights are brighter than he expected. Take a look at the super bright blue light that projects on the ground even in low light conditions and imagine what it’s like in complete darkness – it will draw attention like a Jedi Master with a lightsaber!